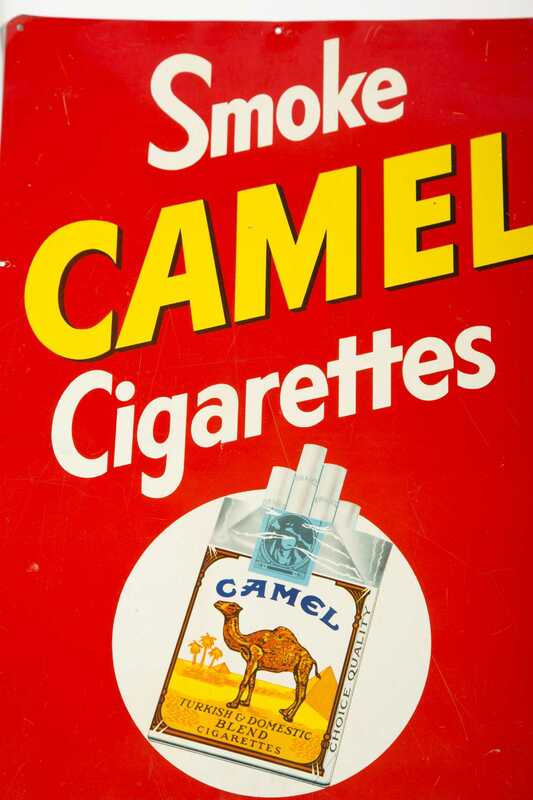 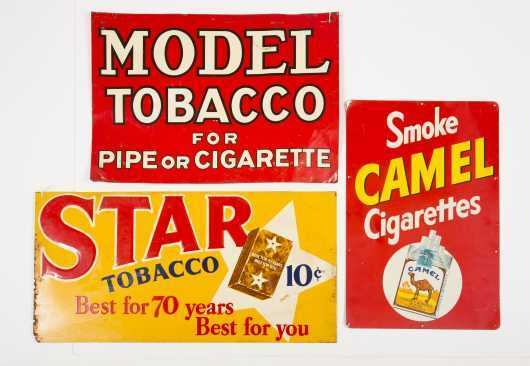 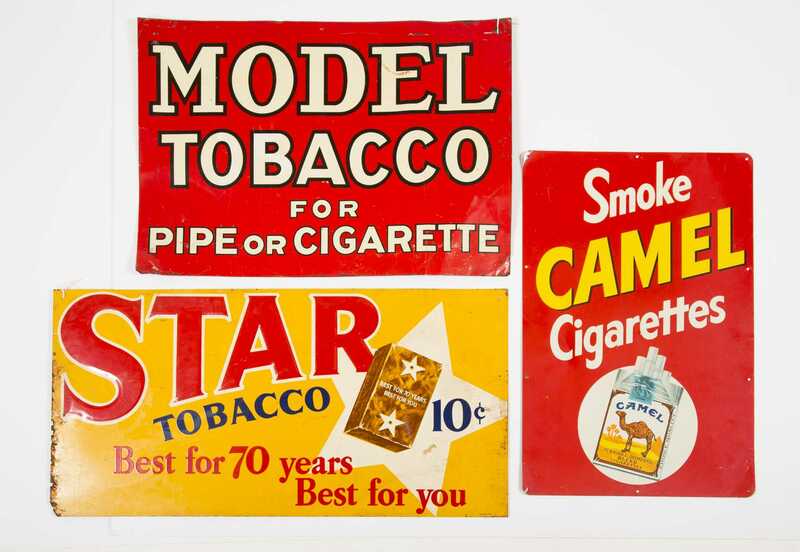 Lot of Three Tobacco Country Store Tin Signs, A) "Camel Cigarettes" sign, 18" x 12", light dents. 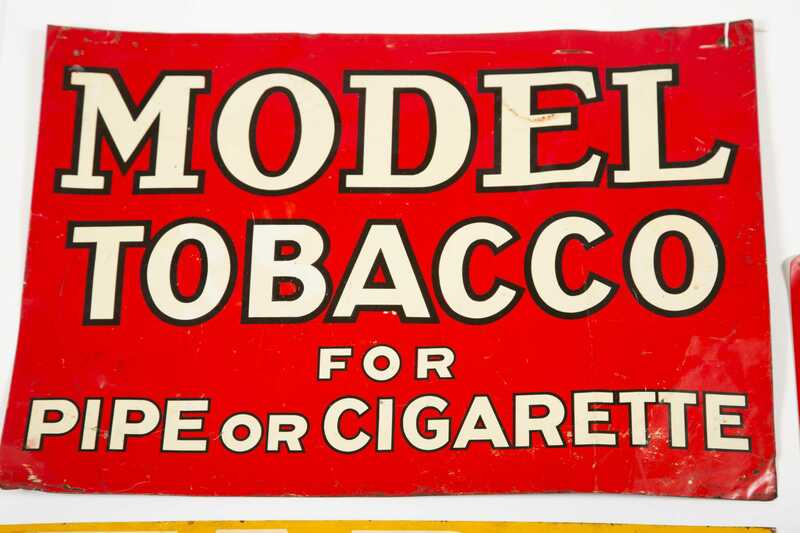 B) "Dodel Tobacco" sign, 13 1/2" x 19 1/4", dents and losses. 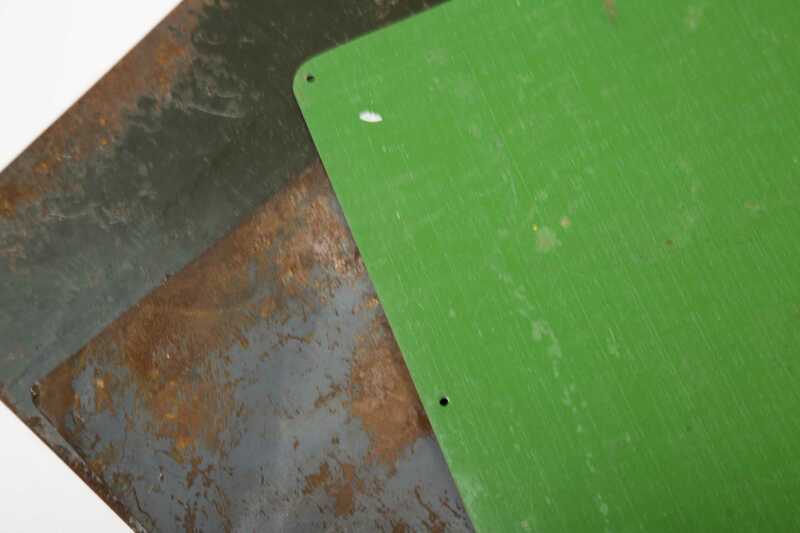 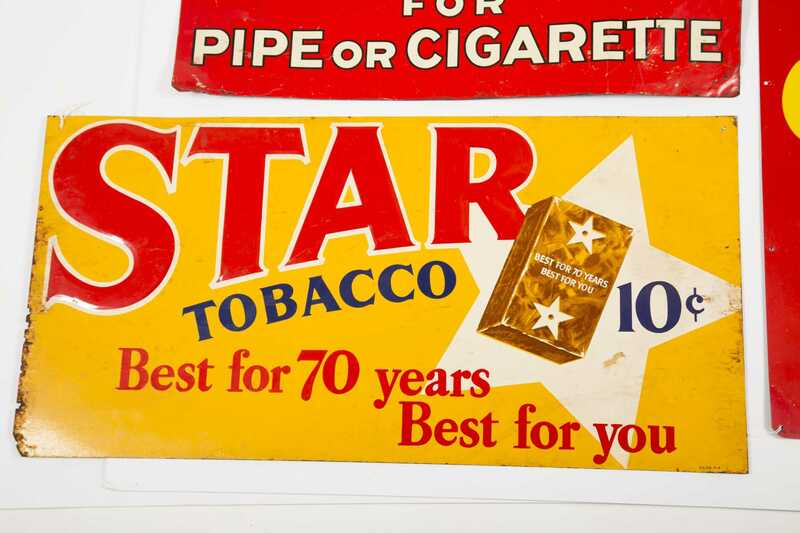 C) "Star Tobacco" sign, 11 3/4" x 23 1/2", scratches, stains.